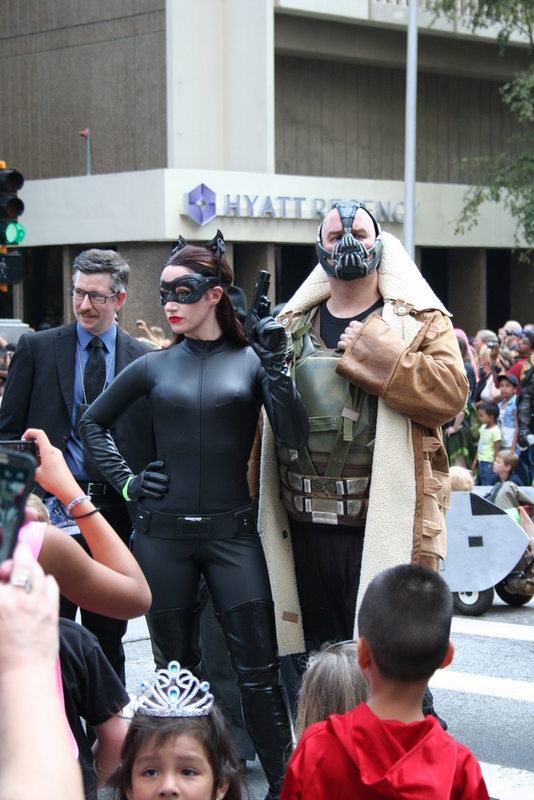 Meghan asks: In “The bane of my existence” what is a bane? The phrase “the bane of my existence” is extremely popular, and you’ve probably said it once or twice yourself, perhaps about a difficult exam during finals week, or the cat who woke you up at 3 a.m. for breakfast, or the gym teacher who made you run an extra mile. When you say that something is the bane of your existence, you generally mean that it is something that causes you a great deal of misery. As you can imagine, back in 800 A.D. when the word was recorded in the Old English Chronicles, annoyances like exams and early-rising cats weren’t referred to as “banes”—it was a word reserved for much more deadly threats. As the years went on, bane started to refer to things that weren’t actual human murderers, but simply things that caused death—an illness, for instance. By the 14th century, the word became more specialized and was applied to poisons. That’s where you get plant names like Wolfsbane and Henbane, and poison like Ratsbane (now no longer in use). Wolfsbane and Henbane are both plants which are poisonous to those animals and (usually) also humans. He that like a Lacedemonian, or Romane, accounteth Infamy worse than death, would be loath to emprove his courage, or to employ his patience, in digestinge the pestilent bane of his life. Interestingly, Merriam-Webster claims that it was once also acceptable to use “bane” as a verb—so, “baning” someone once meant “to kill, especially with poison” while a person who had been “baned” had been “killed with poison.” This verb is now obsolete and, much like the noun bane on its own, you probably won’t hear it a lot in common conversation. This knowledge might come in handy if you ever find yourself reading through Old English texts, though, or are a writer interesting in bring back antiquated usages of words. So, next time you say your cat is the bane of your existence, just be happy it isn’t actually going to kill you like a real “bane” would… or is it! 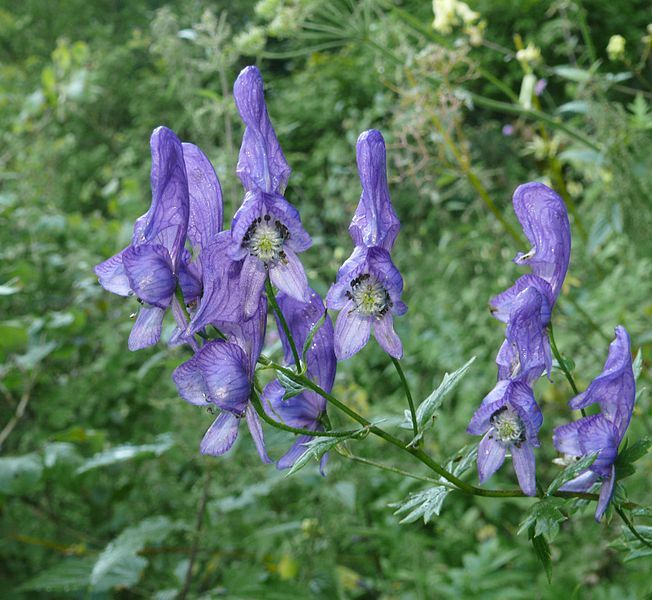 Wolfsbane, or Aconitum, consists of over 250 species of incredibly poisonous plants. The poison has long been used in warfare, with early hunters using it to coat arrows to bring down their prey (some tribes even used it to paralyze whales, so you know it has to be strong!). Symptoms of wolfsbane poisoning include nausea, vomiting, and diarrhea. However, it’s not just eating the plant that can kill you—the poison can actually also be absorbed through the skin. So if you ever find yourself around wolfsbane, don’t pick the leaves without wearing some protective gloves! Wolfsbane plays a significant role in a lot of pop culture about werewolves and vampires: in a variety of books and TV shows, the plant keeps werewolves away; in Harry Potter, it’s an ingredient in the Wolfsbane Potion which keeps werewolves tame at the full moon; in the 1931 film Dracula, wolfsbane is used as protection against the vampire. Aconite has been mentioned in stories from Greek Mythology to Shakespeare to Dexter and Merlin. Despite its poisonous properties, in the right doses it can also be used as a medicine—at least it is in some Asian cultures, where it is sometimes used in very small doses to treat things like fevers. Some people even cultivate Wolfsbane in their gardens because some varieties are quite pretty. They grow pretty well in shady places in the typical home garden as well. Henbane isn’t quite as well known by that name as Wolfsbane is, but its other names—nightshade and mandrake—are a little more recognizable. The name “henbane” came into use by year 1265, and probably was around much earlier than that. This plant isn’t as poisonous to humans as wolfsbane, though it can cause hallucinations and indigestion. It is fatal to most animals. Ratsbane is known more simply as “rat poison” and is a type of arsenic.